Over the past three years, bottled water sales have jumped up some 7%, with soda sales taking a turn for the worse. The fascination with bottled water comes primarily from concerns over the sugary, toxic ingredients used in most sodas. Health-conscious individuals are changing the tide of the consumer landscape, and bringing with them a love for all things water. In terms of numbers, the yearly consumption of soda has fallen from 58 gallons to just 40 per individual. That has struck the soda industry fairly deep, leading to a serious down turn in sales for the industry as a whole. However, one thing that soda companies have that bottled water companies do not, is customer loyalty. While the age old debate between Pepsi and Coke strikes a nerve with any soda drinker over which is better, bottled water doesn’t have the same brand loyalty. Folks will drink just about any brand of bottled water because they know they are getting roughly the same product—with little difference. Now, as a business owner and not someone with stock in Pepsi or Coke, you probably are wondering what does this have to do with me? If you want to give your consumers what they’re looking for, this has everything to do with you. For example, we offer water bottles with logos to help businesses of all sizes maximize the latest trend towards bottled water. You can capitalize on what they want and position yourself as a company that truly cares about your customer’s interests simply by providing free water beverages. 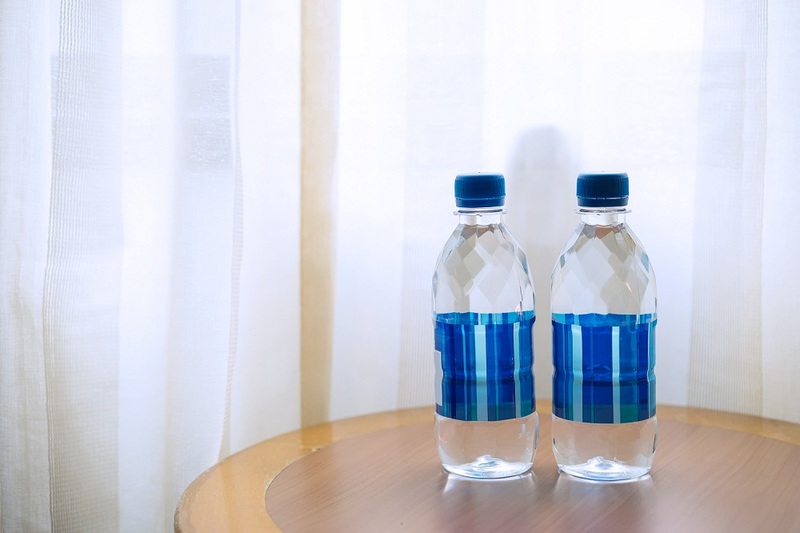 AQ Bottled Water is the place to go to purchase hotel bottled water or labels for water bottles. We create custom labeling to help set your water bottles apart. Capitalize on the uptick in water bottle purchases and make a name for your business when you use our services.